Set that debuted on December 2, 2013. 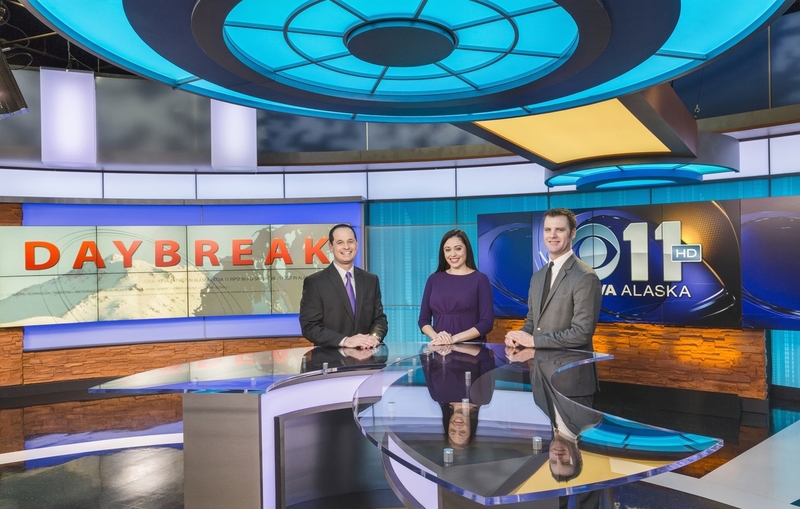 Alaska telecom giant GCI launched “the new KTVA-TV,” the first television station in Alaska to broadcast local programming in high definition. 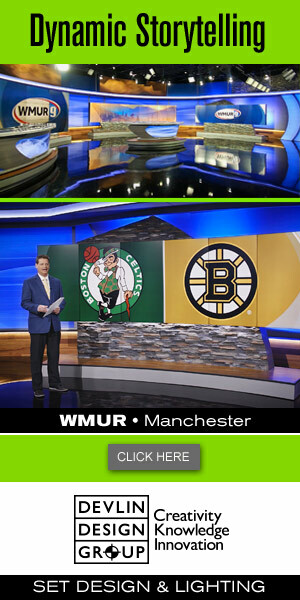 The centerpiece of this state-of-the-art digital facility is a news set and content gathering environment designed and installed by Devlin Design Group. 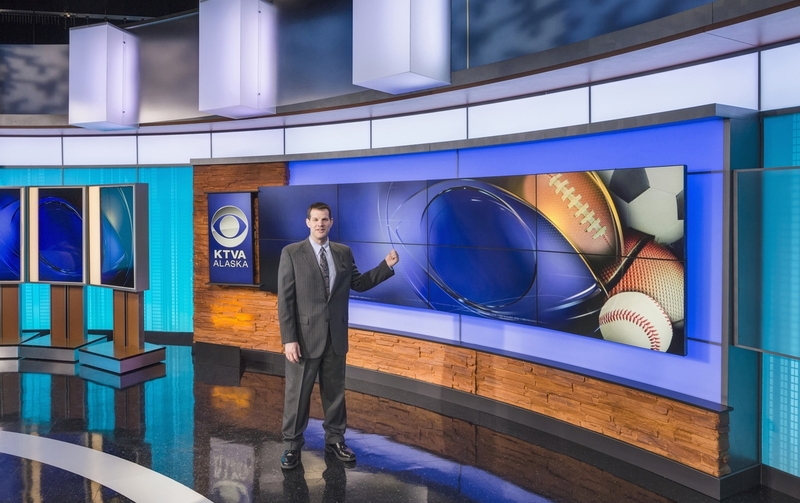 CBS affiliate KTVA-TV is now the most advanced and sophisticated broadcasting facility in Alaska. In addition to blazing new trails in high tech, KTVA-TV is also a community station that aims to exceed the expectations of the communities it serves. When GCI decided to reinvent KTVA-TV, they called Dan Devlin, Creative Director of Devlin Design Group, a forward thinking company, well-known and respected in the industry for their award winning design expertise. GCI handpicked DDG for guidance in all aspects of the concept, design and construction of this new media center. 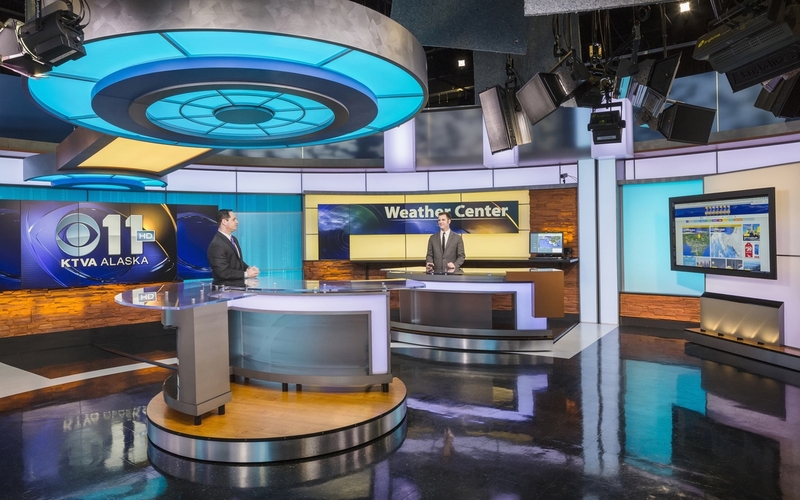 DDG became the overall concept integrator, providing insight and advice in all key areas such as selecting equipment integrator, graphics and music suppliers—choices all meant to compliment the visually stunning design of the news set environments designed by DDG. 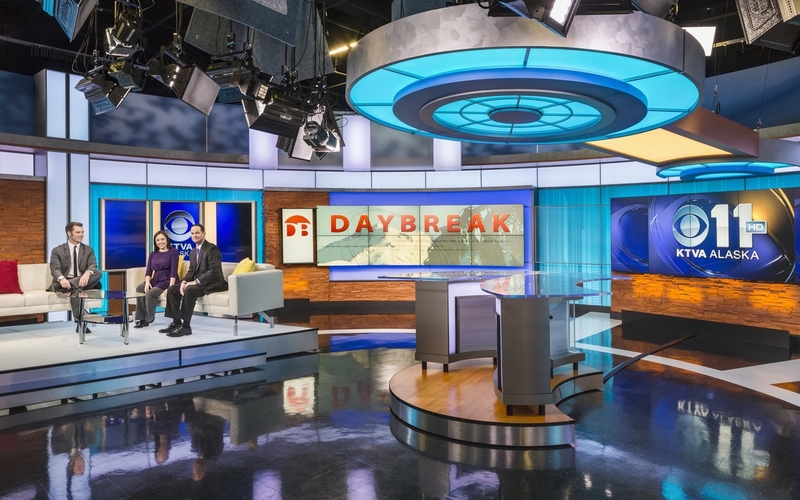 In addition to being a dazzling HD set, it is a versatile, on-air news environment that includes a working weather center as well as a separate morning news talk show area. DDG also designed and built a complete, digital newsroom that includes a working weather center, in addition to the one on the news set. 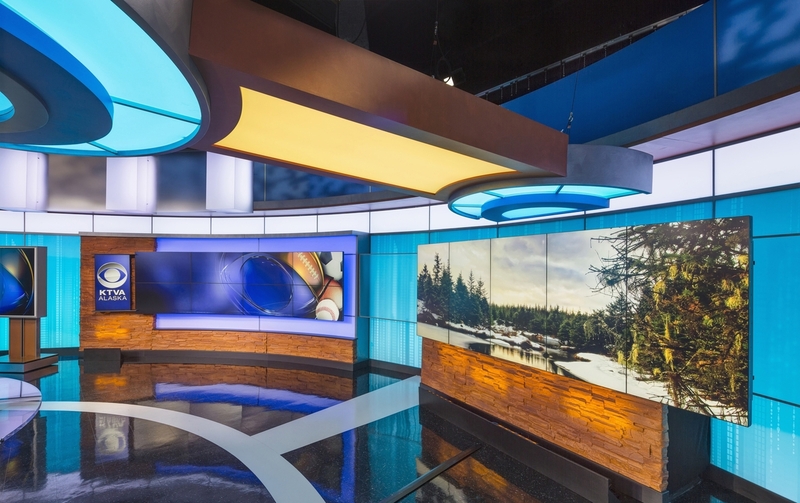 The design of the second floor newsroom is consistent with the style and color scheme of the set and includes 180 degree views of the surrounding Alaskan landscape.